Need to move last minute? Seattle's Best Moving can help! Call (206) 613-9559 today! Get local licensed, professional movers for much less than national moving chains cost. Just do as much packing as you can and let Seattle's Best Moving do the dirty work. It costs way less than you'd think! Solid, punctual, careful, and extremely fast. The best moving experience I've ever had, hands down. Excellent in every way. Low prices and fast service! Hiring a company to move your packed and large items isn't nearly as expensive as you'd think. Save time, headache and money with Seattle's Best Moving! You don't need to rent a truck or call your friends to help you move, just call (206) 613-9559 and we'll take care of everything for you. We have newer trucks, professional staff and low prices! 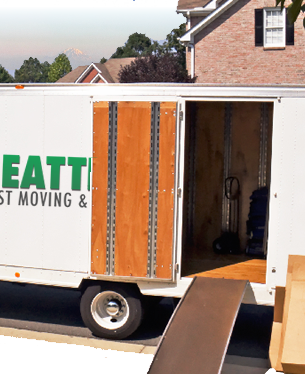 Whether you live in a house, studio apartment or are a business owner looking to move to a new location, call Seattle's Best Moving for the lowest moving rates in Seattle. Ask about our short-trip discount if you're just moving from Capital Hill to Greenlake or Everett to Lynnwood. Call (206) 613-9559 for a hassle-free estimate today.